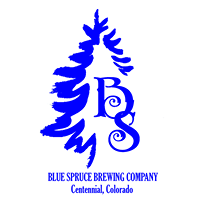 Blue Spruce Brewing Company second location in Littleton. Blue Spruce Brewing Tap Room & Deli, with a 15,000 square foot space for manufacturing great beer! Open as a taproom on 2 Feb 2018 with 40 taps including Blue Spruce beers and guest taps. Will start brewing own beers in house soon. This list includes beers brewed currently, previously, or seasonally by Blue Spruce Brewing Company (Littleton). Contact the brewery for current beer availability.